Another whimsical design that is magical as well as stylish. 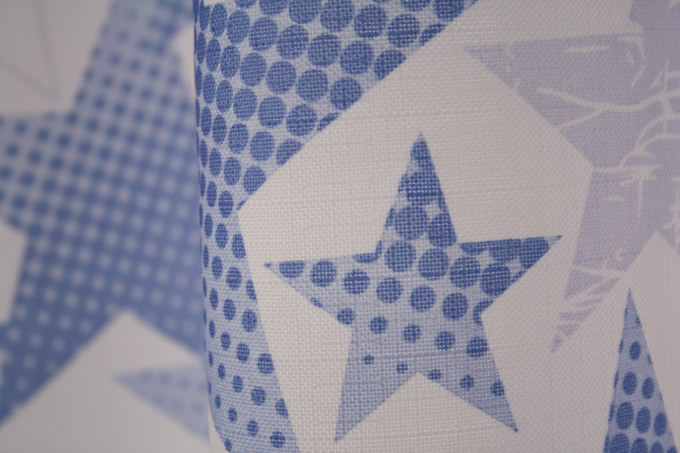 This design features 3 rows of 5-point star clusters. Perfect for your budding astronomer. The number 5 has always been regarded as mystical and magical. We have five fingers/toes on each limb extremity. We commonly note five senses - sight, hearing, smell, touch and taste. 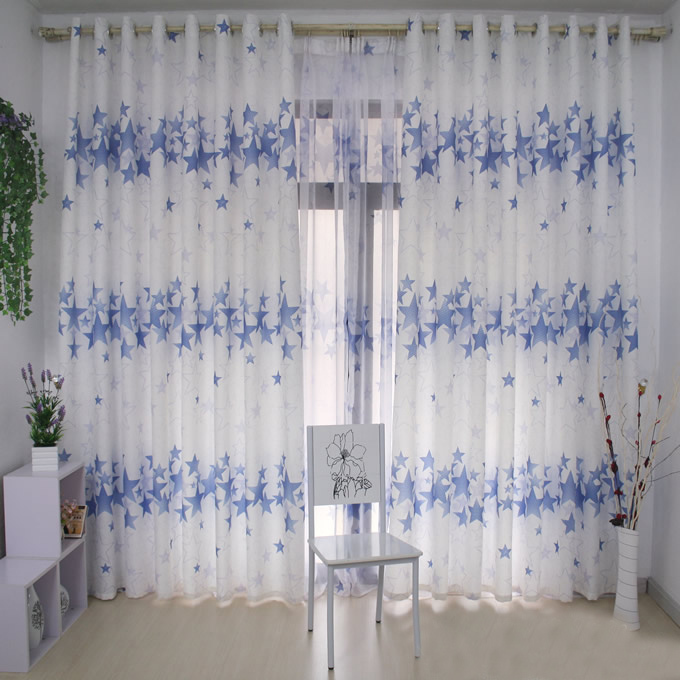 The generous width of the drape kids' curtain panels gives a rich, full look to your little one's windows. Easy to install and no need to ask for help from the expert! - Package includes 2 drape panels.